If you want to make things happen for your company in the employer branding space, you will likely have to make a business case for it and demonstrate how you will measure the impact of employer branding. Employer branding requires a company and it’s people to make some investment of effort, time and money. While many of us can intuitively see the value of doing certain initiatives that would help us attract talent, most executives in the corporate world, understandably, will want to see a business case when it comes to investing some funds in such an initiative. Whether you’re the Head of HR or Head of Talent Acquisition or in an HR CoE, if you want to make things happen for your company in the employer branding space, you will likely have to make a business case for it and demonstrate how you will measure the impact of employer branding. In addition, we all know that in an organization, “What gets measured gets done!”. So as a leader, if you want to succeed at execution, putting in place metrics is key. It is also important to have a balanced set of metrics in place. By balanced I mean a set of metrics that span time horizons such as short term and long terms and also a set of categories/dimensionsns of the key elements that are related to your ability to attract talent. Before starting anything on the metrics front it is important to be able to help key Executive leadership stakeholders understand that while attracting top quality talent is definitely the end goal, employer branding is inherently a long term activity and to see those end metrics shift significantly and visibly could take a couple of years. Therefore, it is important to have a series of clearly measurable and quantifiable short-term process metrics to track progress along the way. It is also important to understand that at a high level, metrics also fall into some very distinct categories such as Talent metrics, Brand perception metrics, campaign metrics, engagement and advocacy metrics, and cost metrics. Below I elaborate more on the sorts of metrics one could choose to track in each category. 1. Brand perception, attraction drivers and competitive positioning: Starting any employer branding initiative without a clear understanding of what your target candidates think of your company and what they most highly value from a job is akin to driving a car blindfolded. On the other hand, if you arm yourself with such data you can speak with much stronger conviction and use the data to guide and inform the executive leadership team or board of directors about what needs to be done for the company in this space. By doing an external survey of your target candidates you get a firm baseline to work with. Examples of where you could get such a baseline are LinkedIn Talent Brand Index or Universum's range of customized research and data services. As an example, Universum measure’s your brand as an employer against major dimensions such as People, Culture, Job characteristics, Growth Opportunities, etc. So you can get a clear picture of where your company stands, which is important to candidates and how best to position your company. 2. 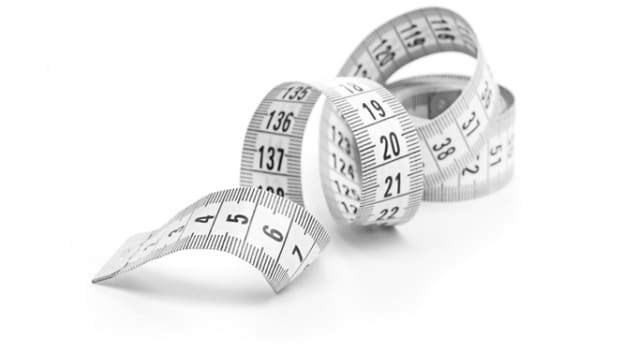 Talent: While it may take a couple of years to show significant shifts in numbers, it is in many ways the bottom line or the holy grail in terms of employer branding metrics. Along with competitive position and brand perception metrics, It should also serve as one of the first metrics you should get a baseline score on before you start any employer branding Initiative. Not having an agreed way of measuring “quality” of candidates in organizations is perhaps the single largest stumbling block where most companies tend to falter. Typical things that could be measured under this category would be first-year performance ratings of those hired, hiring manager sat scores and percentage of attritions within their first year. 3. Advocacy: Bhutan measures GNH or Gross National Happiness instead of GDP. As you start your employer branding initiative, you need your company’s version of the GNH. Basically, you need to get a pulse on what your employee sat levels are. Most companies have an internal employee engagement survey so you could start with that. Another great option is the Gallup Q12 employee engagement survey which is a simple 12 question survey from Gallup Consulting grounded in decades of research. However, from a purely employer branding perspective, the one thing you want to get a handle on is to what extent your employees will highly recommend the company to their friends. From that perspective, a Net Promoter Score survey is perhaps the most effective one. Other useful measurements in this category include tracking referral rate, i.e. what percentage of your hiring happens through employee referrals. Tracking attrition percentages would be another key and related metric in this space. The real key on this metric is ensuring employees respond authentically and without fear of these surveys. Ensuring that they are absolutely convinced that their responses will remain perfectly anonymous and that there will be no way for management to even indirectly induce or deduce who gave what response is fundamental to success on this front. 4. Cost: Cost per hire is a relatively simple metric depending on how good your cost tracking systems are. However, a simple practical tip I have on this is to give a person in Finance a goal and the necessary empowerment to track total hiring cost very closely and you will get your data! The not so obvious and quietly hidden cost of hiring is attrition cost. With the exception of cases where you are hiring for growth and expansion, much hiring is backfill/replacement hiring. In such cases, the cost of attrition needs to be added to the Total cost of hiring. Conservative estimates by various studies such as LinkedIn and others estimate that the cost of attrition is between 50% to 200% of the employee’s annual salary. More data on this can be found in the Work Institute Retention report. It is important to note that at a high level, attrition cost includes direct separation costs, hiring costs, training costs and the cost of lost productivity and performance in the process. 5. Social Media Campaign effectiveness: Brand perception could take a while to change, performance measures could also take over a year to see significant shifts in but you can quickly get a feel for the progress you’re making and draw solace from that fact that campaign metrics are available in hours, days and weeks! This is a well-researched topic and there are tons of good materials available. As an example, you could start with simple metrics such as the total number of followers per social media channel of interest. Reach as the name implies tells you how many feeds your post got to and is usually a good indicator of your brand awareness. Engagement rate is measured by things like Likes, shares, and comments. It is measured relative to or as a percentage of the number of followers on the channel. Finally, click through rate tracks the percentage of people who clicked on your content as a percentage of the reach of a post. For example, what percentage of viewers clicked on a link to your company’s careers page that was in the post. A final but very important word about metrics. The leader or executive sponsor for any employer branding initiative needs to ensure that the process of collection, storage, and reporting of each and every metric is totally tamper-proof. One of the great ills of organizations today is false or manipulated internal reporting of data. If the leader doesn’t see the truth in terms of raw unmanipulated data, there’s nothing the leader or anyone can do to improve the results of the organization. Being clear about your employer branding metrics will enable you to build a strong business case. It will also enable you to ensure a successful execution. It is important to understand that in terms of time horizon, metrics are long term and short term and this needs to be communicated clearly to all key stakeholders. Metrics also fall into some very distinct categories such as Talent metrics, Brand perception metrics, campaign metrics, engagement and advocacy metrics, and cost metrics. So when choosing metrics, be sure to pick from those that are both long term and short term. In addition, you may want to pick at least one metric from each of the major categories to make for a simple yet effective and balanced metrics dashboard. The very act of selecting and tracking a set of metrics will go a long way towards increasing chances of success. Underlying all of this is the importance of creating an environment of utter transparency and honesty is the collection, storage and reporting of all data and metrics.